The XN-10 module is the core analytical module for all XN-Series configurations. One analytical module with a sampler comprises the XN-1000 configuration. The XN-1000 is a standalone, benchtop analyser using a single XN-Series module. 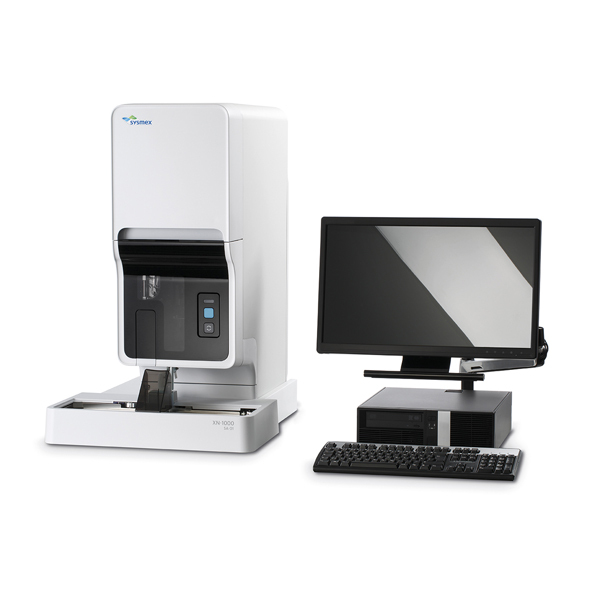 It offers Rerun and Reflex capability, automatically reanalysing samples as required by the user to significantly reduce manual intervention and free up time and resources. As with all systems in the XN range, reagent management is simple, and if required, reagents can be integrated into an analyser waggon. The XN-1000 can be equipped with all the available applications to provide a tailored system giving additional diagnostic value. The XN-1000 can be networked with XN systems at other locations and provides an ideal option for remote locations like Cancer Centres for example.